EZ Cash is a blockchain-based C2C Marketplace that enables individuals (customers) to transact (buy and sell) goods or services with each other through a secure and peer-to-peer blockchain network, without needing the help of intermediaries, dealers or third-parties. The new marketplace effectively deals with a lot of issues that the market is suffering from. By connecting consumers directly with other consumers for transactions, it removes the role of intermediaries, thus effectively reducing the cost of transactions and improving privacy. The underlying blockchain technology ensures the security, transparency and reliability of user transactions and data on the EZcash platform. The EZ Cash platform combines blockchain technology, tokenization, services and products with an easy-to-use graphic interface to work across multiple screens and countries. 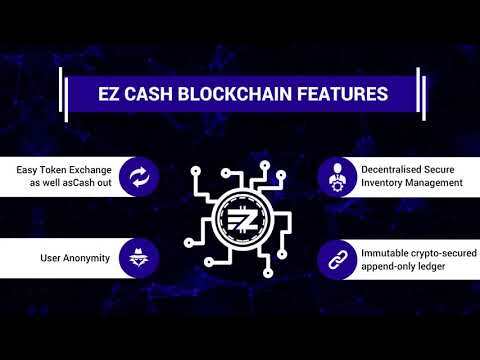 EZ Cash is one of the first decentralised blockchain-based C2C Marketplaces on the planet, ensuring your privacy and anonymity.